Personal Data: What’s Being Done to Protect Us from Another Equifax Disaster? As the world becomes more advanced and consumers become more invested in technology, there has been a greater increase in the number of data breaches involving consumer information. While we posted a blog discussing the ramifications of the Equifax breach soon after the story first surfaced; more than a month later, little has been resolved. Equifax is just the latest in a string of large companies to experience such lapses in security, yet the compromise of this one company might affect 143 million American consumers—that’s nearly two-thirds of the adult U.S. population that could have had their Social Security numbers, credit reports, banking information, and other deeply personal information exposed to criminals. Yet, it’s more than difficult to function in today’s society without putting one’s highly sensitive information in the hands of technology. As American consumers grow more worried about the security of their digital data, it’s obvious that some action needs to be taken to prevent yet another widespread cybersecurity crisis like Equifax. One company’s solution? Even more technology. According to credit ratings agency DRBS, the solution to these massive data breaches is for companies and consumers to put their faith into more extensive technological safeguards aimed at reducing the risks posed to consumers who have their personal data online. One such recommendation is for companies to implement biometric security measures. Instead of simply having authentication requiring the entering of letters or digits, biometric solutions would incorporate multiple layers of authentication with features like voice/facial recognition, fingerprinting, and retina/iris eye scan that thieves could not replicate. Currently Apple, the FBI, various retail companies, and law enforcement agencies all use such biometric security features in some capacity. So, is anything being done at a higher level to prevent future breaches? The Washington Post recently published a story that touches on why “this time” the government is getting involved in a big way—ranging from a full on investigation by the Federal Trade Commission (FTC) to hearings on the Hill being called by the House’s Financial Services and Judiciary committees. “The breach exposed several deficiencies in our law,” commented Rep. Ted Lieu (D-Calif). Lieu also reported that he is in the process of drafting a bill that would create minimum security standards for credit reporting agencies. While it sounds like the wheels are in motion for future change, what can you—as a consumer—do until some of these measures come to pass> At the very least, you should start carefully monitoring your credit reports and financial information. Consumer expert Clark Howard recommends that people freeze their credit for a small fee so that potential criminals can’t use their personal information even if compromised—an action that might be the only way to truly prevent your information from being used in a nefarious way. 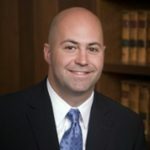 Both an Emory School of Law graduate and MBA graduate of Goizueta Business School at Emory, Chris Nace focuses his practice on areas of medical malpractice, drug and product liability, motor vehicle accidents, wrongful death, employment discrimination and other negligence and personal injury matters.